Act - accepted the charge of the police in the Court of Dhaka Metropolitan Sessions Judge Wednesday. The judge also arrested on April 27, the court told the police to update. 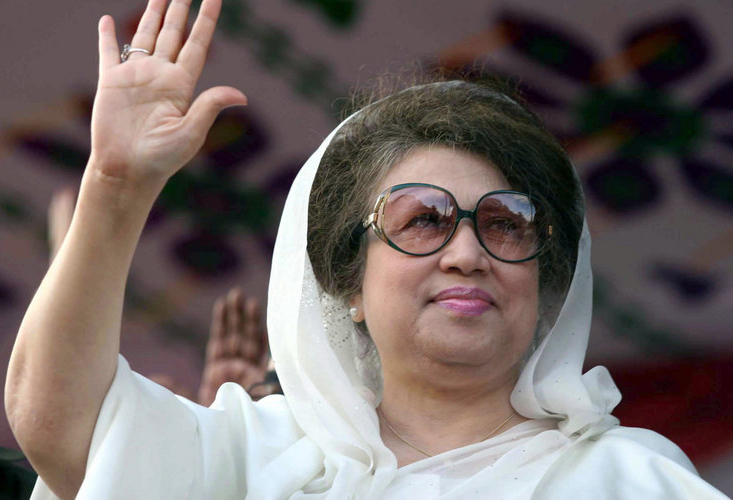 In January last year, BNP chief Khaleda Zia, called continued for three months, which is a failed government after the opposition rally, blockade a constant traffic. Blockade arson attack, fire-bombs, crude bombs and includes Bangladesh paralyzed all that violence is part of speaking. On January 23, at least 30 people were burnt a bus was attacked 'Jatrabari Katherpool. One of the passengers, going by the name of a contractor Noor Alam, was injured and died several days after writing to the Dhaka Medical College Hospital. Alam, who was going home Narayanganj, suffered 48 per cent burns. For murder and the other as the instigator of the BNP chief says attack that the Special Powers Act - Jatrabarhi police had launched two cases at this event. Police brought charges including the former prime minister, 38, a court in May last year against. In January this year, under the Special Powers Act, the case was transferred to the Dhaka Metropolitan Sessions Judge's Court. BNP says the fire-bomb case against the chief political move. Three-time prime minister also is facing trial in a corruption case filed by five anti-corruption commission. Gatco, Niko, Barhapukuria known as coal mining, Zia orphanage Trust and Zia Charitable Trust corruption case.